After the 2016 earthquake that destroyed many cities in Central Italy, the European Commission provided both a short term and a long term assistance to the Country. The short term assistance consisted in providing satellite photos from the Copernicus system. Those photos were very useful for the Italian Civil Protection to coordinate relief efforts and save many lives. additional resources for cohesion policy. 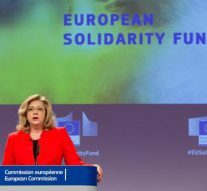 The EU Solidarity Fund (EUSF) supports the EU Member States and Accession Countries by offering financial support after natural disasters, either at national or regional level. Italy is the largest beneficiary of the fund since its creation, with over €2.5 billion mobilised between 2003 and 2017. On the 16th November the Commission received the Italian application for EUSF assistance and committed to processing it as rapidly as possible. A first disbursement of €30 million was released in December. In the second half of 2017 Italy received an additional sum of approximately €1.2 million from the EUSF. To supplement EUSF assistance, the Commission proposed to amend the 2014–2020 Cohesion Policy Regulation Reg. (UE) 1303/2013, to increase EU support following natural disasters and spare national resources. An exceptional EU co-financing rate of 95% for reconstruction operations financed by the European Regional Development Fund (ERDF) was approved by the European Parliament. Finally, Italy received an extra €1.6 billion of Cohesion Policy funds until 2020, following the re-evaluation of the Cohesion Policy envelopes which took into account the impact of the crisis. The European Investment Bank (EIB) is also providing its support in the form of €2 billion in loans to the Ministry of Economy and Finance for reconstruction operations in the affected regions. One billion will go towards the reconstruction of public buildings (schools, hospitals, administrative offices) and one billion, jointly with the Cassa depositi e prestiti, will go towards the restructuring of SMEs and households. Lastly, in April 2018 the European Commission declared the €43.9 million Italian government aid scheme to support investments in the regions affected by the earthquakes to be compliant with the EU State aid rules.